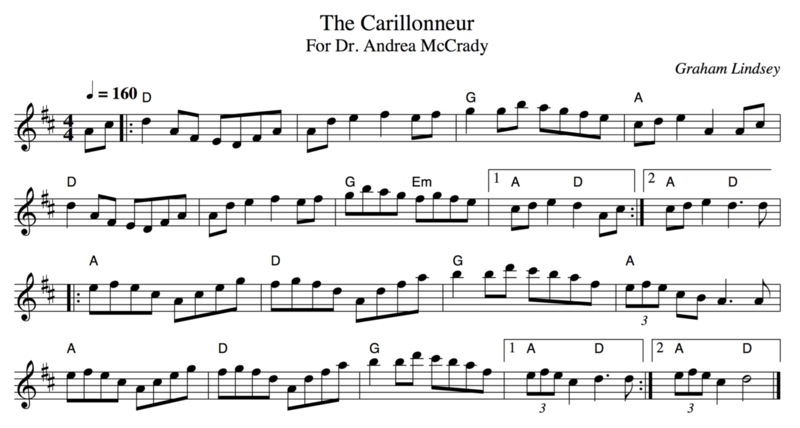 This tune is dedicated to Dr. Andrea McCrady​ who figured it would be fun to hear some fresh tunes played from the Peace Tower (and for several months she practiced and performed From Away, Grit's Jig, and Ellen's Jig), so today I'm releasing a new tune called The Carillonneur, and as you might expect, it's dedicated to Andrea! Thank you also to so many friends who've come to Parliament Hill to hang out, catch up, listen to some great tunes (and mine! ), sent messages after hearing them, and now that this chapter of my musical career is coming to a close.